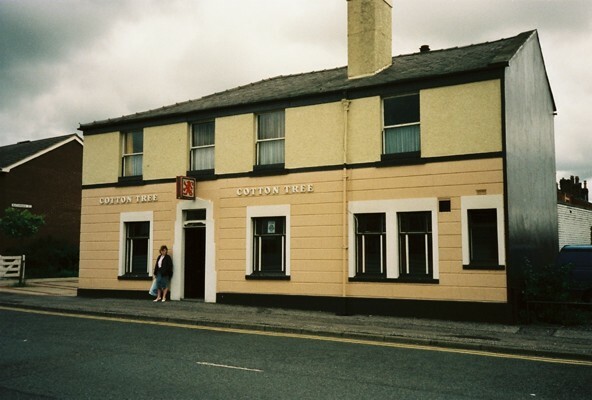 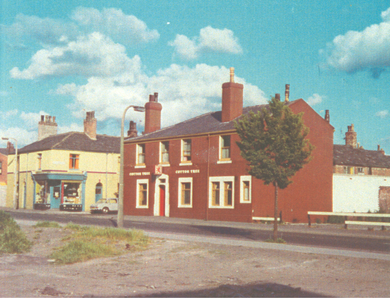 The Cotton Tree was first listed on the 1861 census and the recorded landlords were John Marsden (1861-76), Peter Hilton (1879), J Gillibrand (1882), Jane Houldsworth (1891), Joseph Edward Barton (1901), Albert Hargreaves (1911) and Martha Archer (1936). 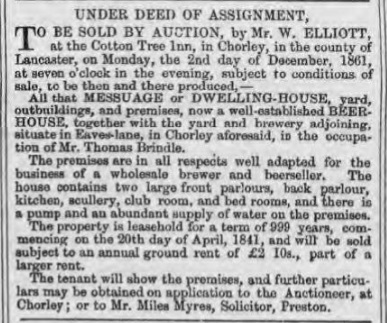 At the time of the 1881 census the Cotton Tree was clearly between tenants and was unoccupied. 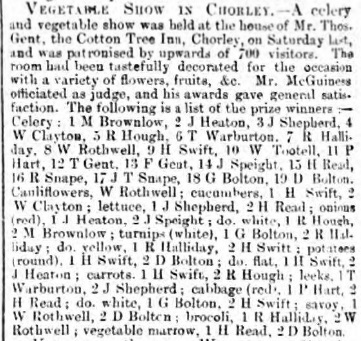 Sometime between 1881 and 1891 the street numbers changed on Lyons Lane and Cotton Tree went from being number 128 to 162. 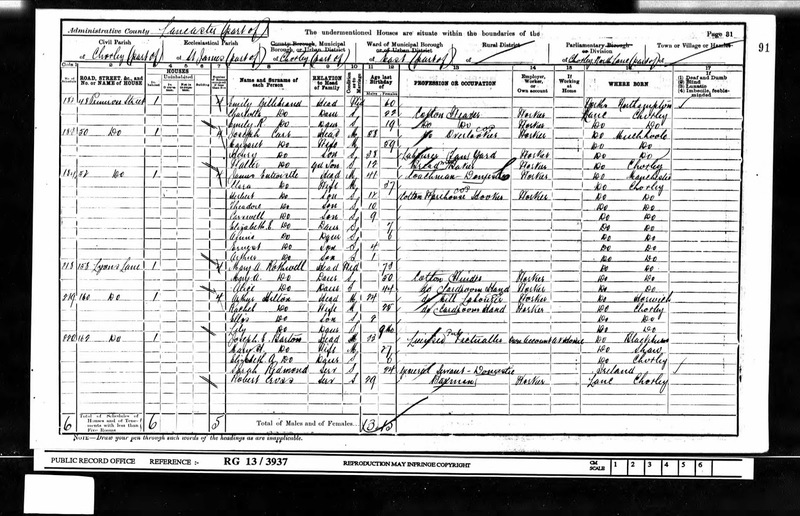 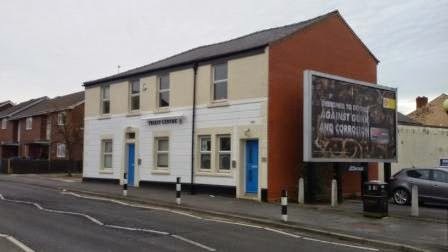 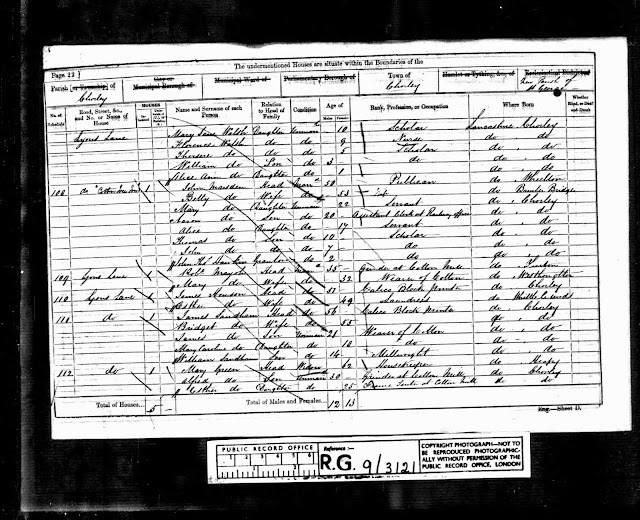 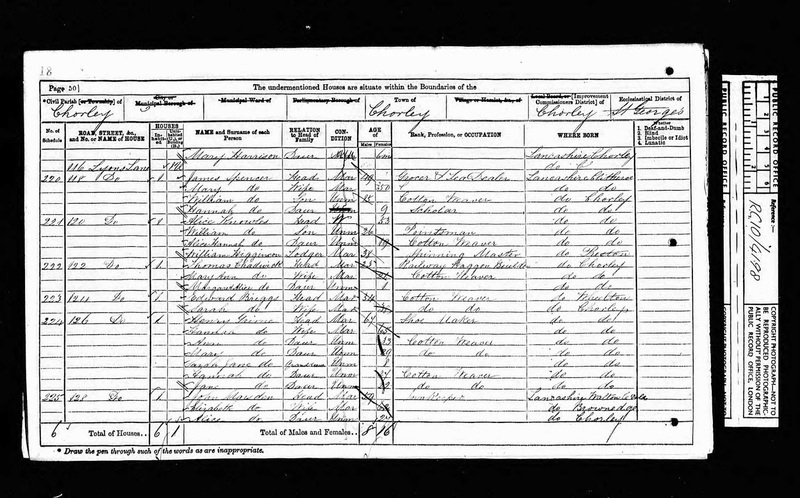 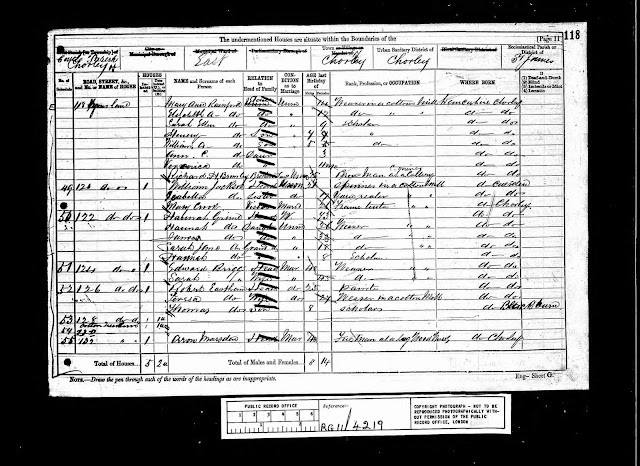 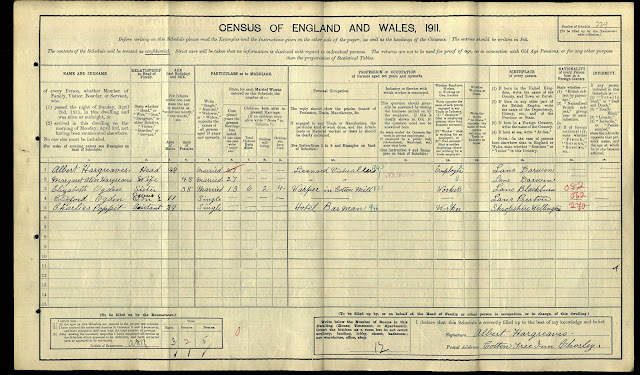 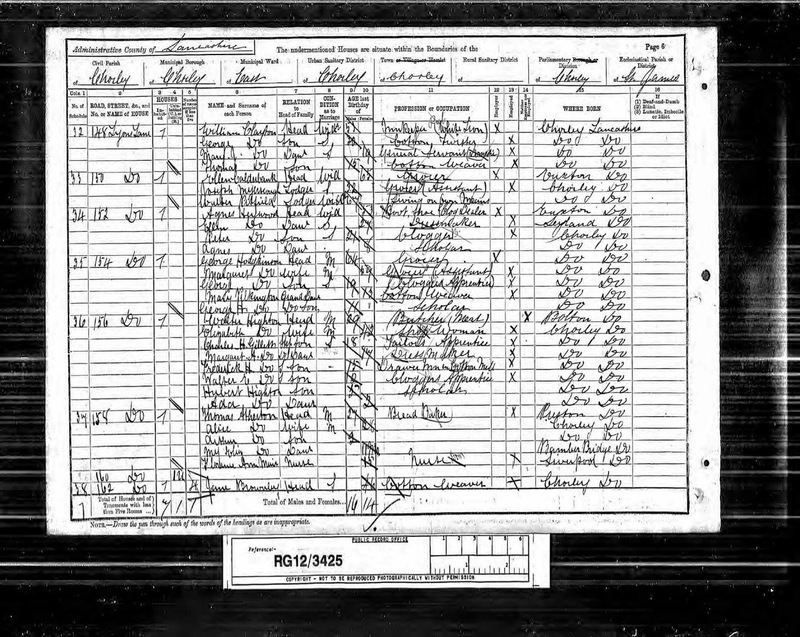 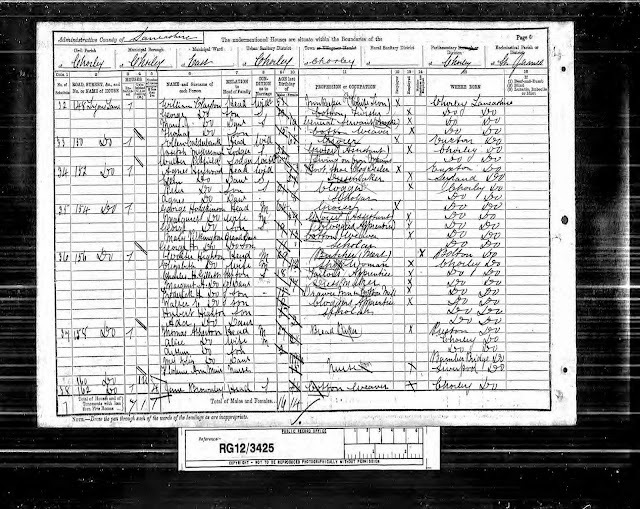 At the time of 1901 Census Jane was living with her other son William Barton at 4 Buchanan Street, Chorley.